SOS Children's Villages has been in Karlino since 2005 when it became the fourth location in Poland where we started supporting vulnerable children. Since then our activities have continued to grow, adapting to the changing Polish social and economic situation which has led to an increase in the number of children losing parental care. Karlino is located in the north-west of Poland, about 30 km from the Baltic Sea. It is home to around 9,400 people. The area was badly affected by the political, economic and social changes during the 1990s. The unemployment level was high and many people were living in poverty. The area is mostly agricultural, although the region also hosts some industry. In 2008 the Kostrzyn-Slubice Special Economic Zone came into existence; the aim was to create preferential conditions which would improve the economic development of the area, attract foreign investors and create new jobs in the area. In spite of recent initiatives the region remains amongst the poorest in Poland. Poverty mostly affects people who are living in small towns or rural areas. Children, women and the unemployed are most likely to be poor. Children who live with many other siblings or in single-parent households are the most vulnerable. Many are malnourished and they often find it difficult, especially in more rural areas, to access education and adequate health care. Many children lose parental care due to a complex set of circumstances which often include unemployment, addiction and a lack of social welfare support. The Polish government's official policy is that vulnerable families should be supported so that children can continue to live with their families. However, there is still a shortage of social welfare services which could provide such families with the help they need. In light of these circumstances the work of SOS Children's Villages continues to play a crucial role in protecting the rights of children. The critical situation that children were living through was the reason why our organisation decided to become active in the area and why the local authorities supported our decision by donating a piece of land to SOS Children's Villages. 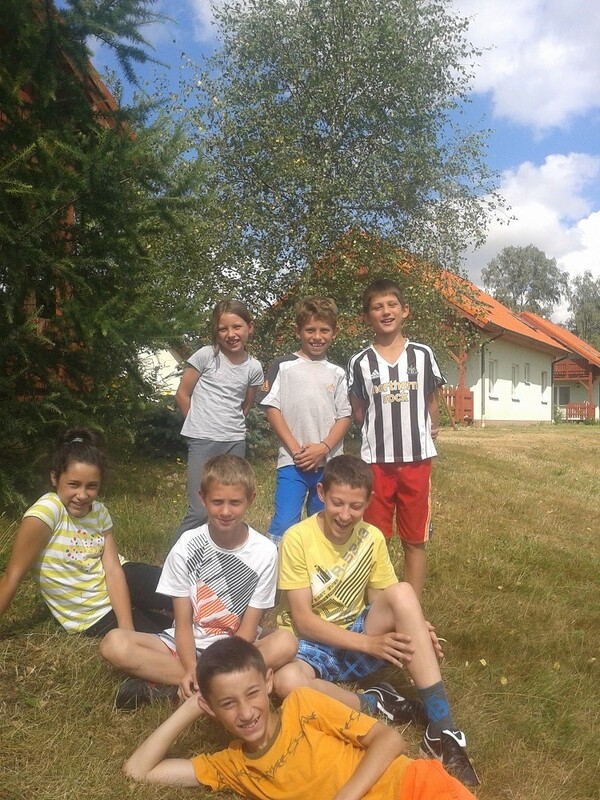 Children grow up with their brothers and sisters (photo: J.Zyniewicz-Szyc). SOS Children's Villages works closely with the local community. In order to support vulnerable families in the neighbourhood, we offer family strengthening programmes which, in collaboration with local agencies, aim to ensure that children have access to essential educational, health and nutritional services. We provide parents with counselling and psychological support, with advice on parenting skills and help them to seek employment. When parents find a job or while they attend training, they can leave their children in our kindergartens; some of these kindergartens are located in rural schools of the area. If children can no longer live with their families, they can find a loving home in one of the 12 SOS families, which provide a stable and loving home for children who have lost the care of their parents. The children are fully integrated into the surrounding community as they attend the local schools, alongside children from the area. The children in our care are offered support according to their needs, be it with their school work or with therapy. Many after-school activities take place in the neighbourhood, and many activities that we organise in the village are well attended by local children. Young people who are ready to leave their SOS families can move into shared accommodation in Koszalin while attending further education or training. The city is located about 30 km from Karlino and offers young people better opportunities in terms of education and employment. Given the economic conditions in the region, young people often find it hard to get their first job and home. Our SOS Youth Programme helps them make this transition; with the support of qualified staff, they learn to shoulder responsibilities and make their own decisions.